Gifts to the Building Fund enhance your son’s education and your regular donation will enable us to continue to improve the facilities so he can be better able to Discover what’s possible. All gifts to the Building Fund are 100% tax deductible. Over the years, the College has built significant facilities to aid learning through donations made voluntarily by parents when they pay their fees. We are keen to see this tradition continue. Most Newington parents pay their fees in monthly installments over nine months. Unless arranged prior, those payments do not include a donation to the College’s Building Fund. If you would like more information about including a Voluntary Building Fund donation as part of your fees or if you have an enquiry about the Building Fund generally, please contact us. The Duckmanton Drama Centre was officially opened by His Majesty King Tupou VI of Tonga on Monday, 18 July 2016. A new play, Michael Swordfish was commissioned for the occasion and was met with rave reviews. Officially named on 31 July 2017 in honour of Sir Talbot Duckmanton CBE (ON 1938) in presents of the Duckmanton family. Theatre seats are available for individual naming for yourself or in honour of a family member or staff member through our Sponsor a Seat program. There are now only 154 seats available and at $990 each, fully tax deductible, they represent great value. A named plaque will be affixed to your seat and names are recorded on an Honour Board that will be displayed in the Drama Centre Foyer. Over a quarter of seats have already been sold and you are welcome to visit the Drama Theatre and see how your name would look on the back of one of those seats. If you would like to discuss sponsoring a seat or have any questions please contact Renee Payne. Alternatively, you may like to see your family name engraved on a stainless steel plaque on our Sponsors Wall in the Drama Centre Foyer. Plaques are individually engraved and mounted on the Sponsors Wall and are available at only $330 each, fully tax deductible. If you would like to discuss sponsoring a plaque on our Sponsors Wall or have any questions, please contact Renee Payne. 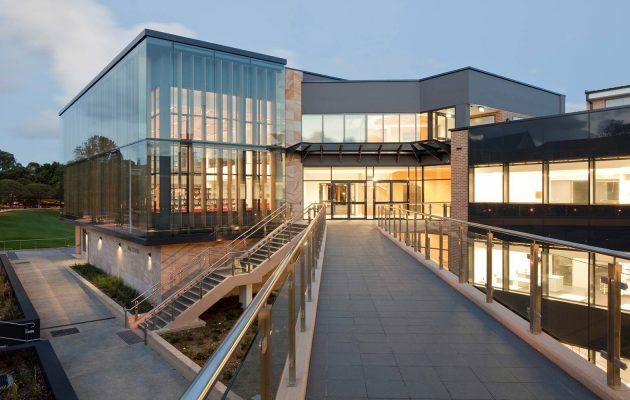 The Michael Morgan Rowing Centre is a state-of-the-art, all weather facility and was largely funded by the generosity of many Old Boy Rowers who were either teammates of Michael Morgan during the 1960s or who were coached by him between 1974 and 2000. The Centre includes 8 Rowperfect machines, 16 Concept II Ergs with sliders, immediate feedback video technology and a Rowing specific Strength and Conditioning room with the foundation machines of bench pull, bench press and leg press as well as equipment to improve core strength and flexibility. This facility will maximise quality training time that can be negatively impacted on by competing users (other sports), poor weather or water and Sydney traffic to name a few. Michael Morgan OAM (ON 1964) attended Newington College from 1957–1964. He served as a Prefect, Cadet CUO and House Captain and rowed in the Centenary 1st VIII in 1963 (winners of the Head of the River) and in 1964. He rowed in the Australian Men’s Eight at the 1968 and 1972 Olympics, winning Silver in 1968. Michael served as Senior/Head Coach of Rowing at Newington from 1974–2000. Under his tutelage, the 1st VIII took first place at the GPS Regatta on ten occasions, along with second place another ten times and third place twice. His crews won seven National Schoolboy titles, while five of his crew members have subsequently become Olympic medallists. Michael served as a member of College Council from 2007–2015. 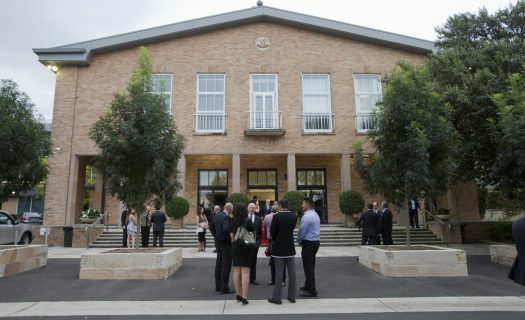 The Old Boys Lecture Theatre (OBLT) is located in the A J Rae Centre which was built as part of the College’s Sesquicentenary Building Program in 2013. It seats 246 and is used daily by year groups, teachers and the community generally; it is one of the most regularly used spaces in the College. Of those 246 seats, we are very proud that 140 seats in the OBLT have been generously sponsored by Old Boys, Parents, Staff and Friends of Newington. All their names are proudly engraved on individual seat plaques and on the Honour Board as you enter the Lecture Theatre. Fellow Old Boys who made the ultimate sacrifice during war. With just over 100 seats to be named, the opportunity to secure a seat and a piece of Newington history is still available. Parents have named seats in their son’s name or to honour family generations. Others have taken a seat in their own name to record their thanks for the opportunities afforded them by their Newington education or for the opportunity to work here. Old Boy classmates could band together and decide to Take a Seat in honour of their Alumni Year. Parents could follow the lead of 2015 Senior Prefect Saahil Parekh’s parents, who named a seat for him at the end of his Year 12. ‘Take a Seat’ in the OBLT gives you the opportunity to record your name as part of the great history of the College or to acknowledge the various groups in the Newington community. 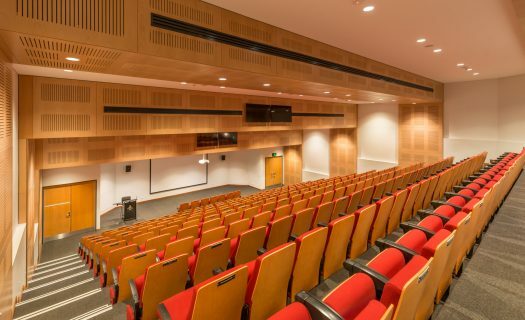 Your chosen seat will be clearly identified with an individual seat plaque and recognised on the Honour Board as you enter the Lecture Theatre. A tax deductible gift of a minimum $4,000 will secure your seat and can be paid in the current financial year or by instalments over a number of tax years, as your circumstances require. There are 70 pews in total and over half have been sponsored. The proceeds of such sponsorship not only contributes towards the cost of the pews, but also assists in maintaining the Chapel throughout the year. The pews are hand-crafted Golden Oak timber and range between 2.4 metres and 3.5 metres in length. They are not only very comfortable but works of art in themselves. 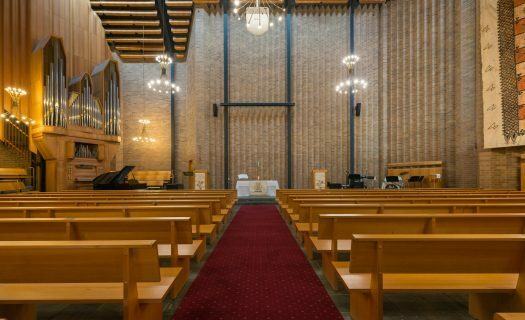 Importantly, they have now expanded the seating capacity of the Chapel to over 350. Sponsorship of a Chapel Pew in the name of a loved one can be secured by a donation of $1,950 and your chosen pew will be adorned with a simple but elegant brass plaque bearing your name. Download a Pew Sponsorship Application here. The College Chapel has been a peaceful place of reflection and inspiration for the Newington Community for over 30 years. It is used by our students to learn of all religions and the tolerance that comes with such understanding and, together with their families and friends, for House Chapel and other Community Services. If you would like to support the College’s Endowment Fund, Building Fund, Regular Giving or Bequests generally, please contact the Director of Community and Development, Mr Rod Bosman (ON 1978).